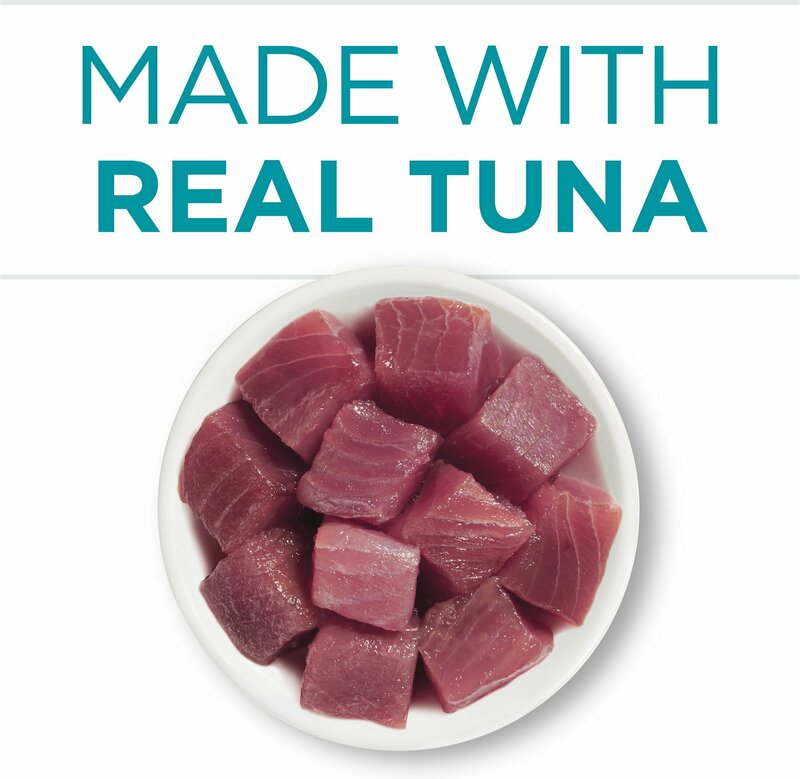 Satisfy your pal’s true instincts for real meat with Purina ONE True Instinct Tuna Recipe in Sauce. 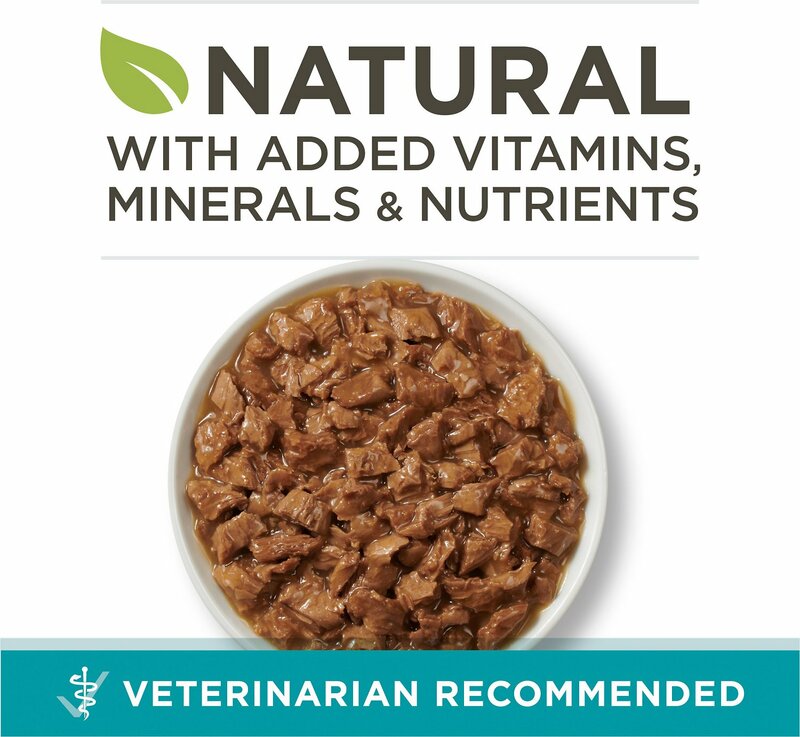 This nutrient-dense formula is made with real tuna as one of the top ingredients for a high-protein diet that’s also 100% complete and balanced for cats of all ages. Enhanced with vitamins, taurine, minerals and antioxidants, this wet cat food covers all the bases for overall health, plus it contains omega-6 fatty acids to help support healthy skin and coat. To top it all off, it comes in a delicious sauce that your kitty will find irresistible and provides essential moisture to keep him healthy and hydrated. 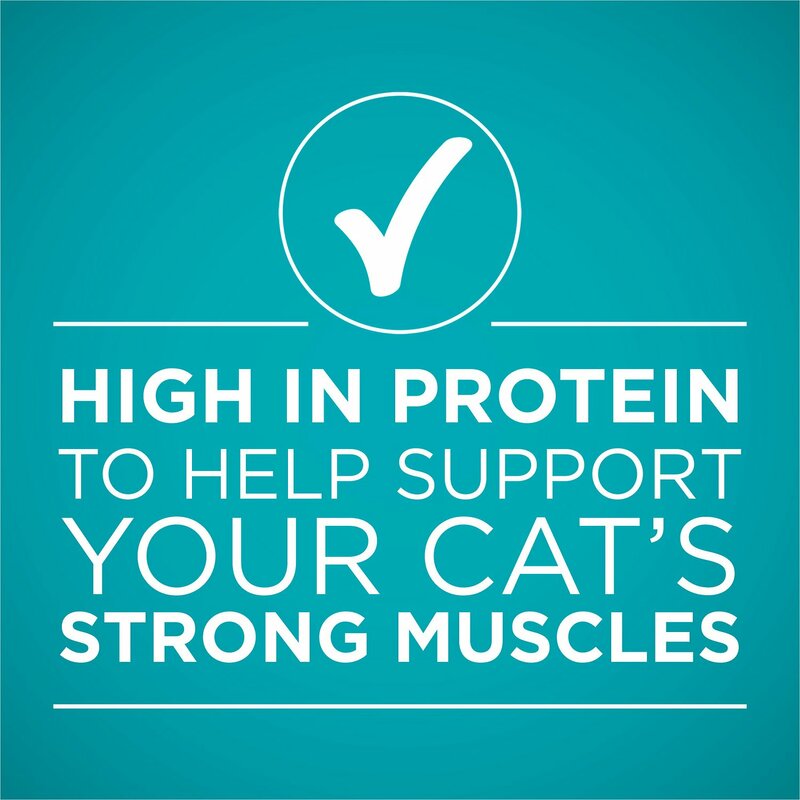 High-protein recipe made with tuna as a top ingredient to support your cat’s strong muscles. Formulated with vitamins, minerals, taurine and antioxidants for immune health and overall well-being. Made with zero fillers because every ingredient in this recipe has a purpose. Purina ONE is recommended by veterinarians, so you can feel confident feeding your cat this delicious and nutritious recipe. 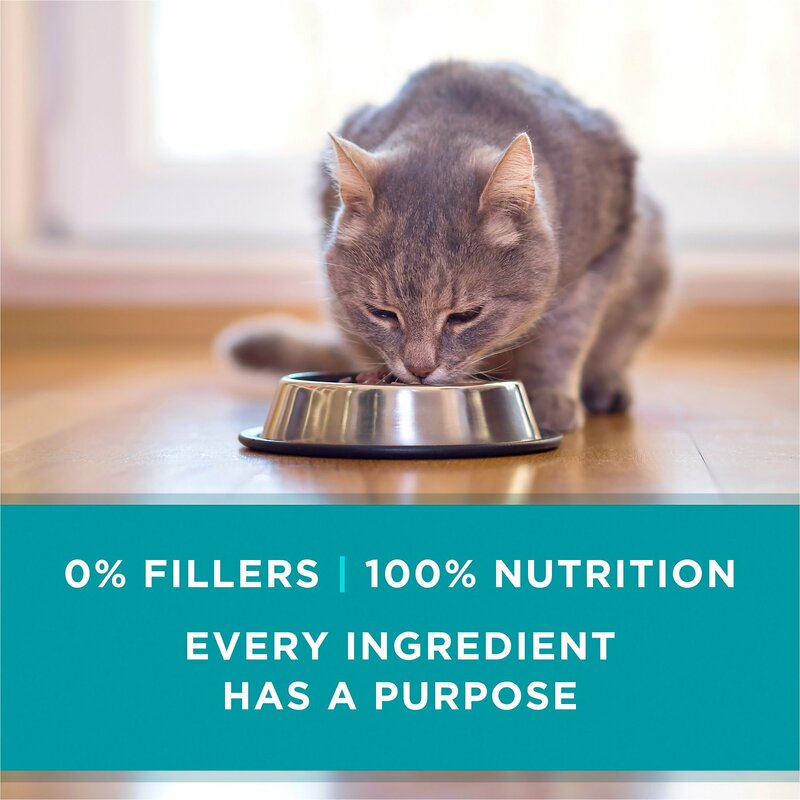 Nutrient-dense formula provides a 100% balanced and complete diet for cats of all ages. Old Formulation: Water Sufficient for Processing, Tuna, Wheat Gluten, Liver, Chicken, Meat By-Products, Corn Starch-Modified, Artificial and Natural Flavors, Corn Oil, Salt, Minerals [Potassium Chloride, Magnesium Sulfate, Zinc Sulfate, Ferrous Sulfate, Copper Sulfate, Manganese Sulfate, Potassium Iodide], Tricalcium Phosphate, Soy Protein Concentrate, Added Color, Taurine, Vitamins [Vitamin E Supplement, Thiamine Mononitrate (Vitamin B-1), Niacin (Vitamin B-3), Calcium Pantothenate (Vitamin B-5), Vitamin A Supplement, Menadione Sodium Bisulfite Complex (Vitamin K), Pyridoxine Hydrochloride (Vitamin B-6), Riboflavin Supplement (Vitamin B-2), Vitamin B-12 Supplement, Biotin (Vitamin B-7), Folic Acid (Vitamin B-9), Vitamin D-3 Supplement], Choline Chloride, Red 3. D-4312. Feed an average size adult cat 1 can per 2 1/2 pounds of body weight daily. Refrigerate unused portion. Kittens: Feed up to twice the adult amount. Reproduction: Pregnant or nursing cats may require two to four times their normal feeding. Please allow 7-10 days to ease the transition from your cat's current food. Each day, simply feed a little less of the previous food and a little more Purina ONE until you're feeding Purina ONE exclusively. This gradual transition will help avoid dietary upsets. Purina One Smartblend formulas are made with high-quality ingredients, delivering the taste cats love and the nutrients they need. These dry and wet food recipes are inspired by nature and advanced by science to give your cat a complete and balanced meal with real meat, fish or poultry as the number one ingredient. With a choice of proteins and selections for cats of every age, you'll find the perfect Purina One for your kitty. Cats love meat, but they also love different textures. 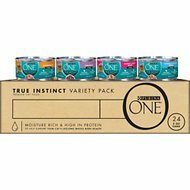 Purina ONE Tender Selects Blend caters to a kitty's preferences with tender morsels of real salmon or chicken as the first ingredient. 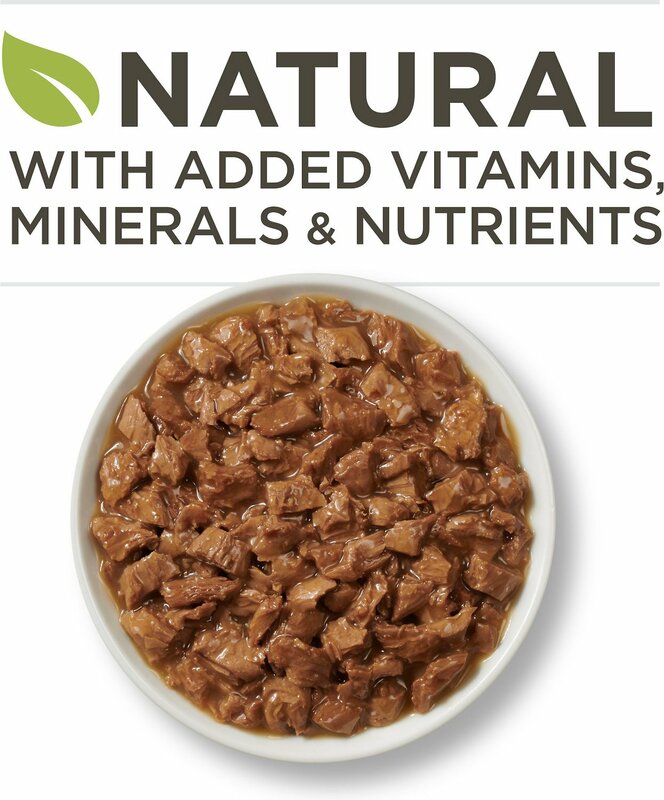 These meaty shreds are mixed with crunchy bites of kibble full of omega-6 and protein, with zero fillers. Tender Selects Blend is recommended by vets and helps support strong muscles and a radiant coat. 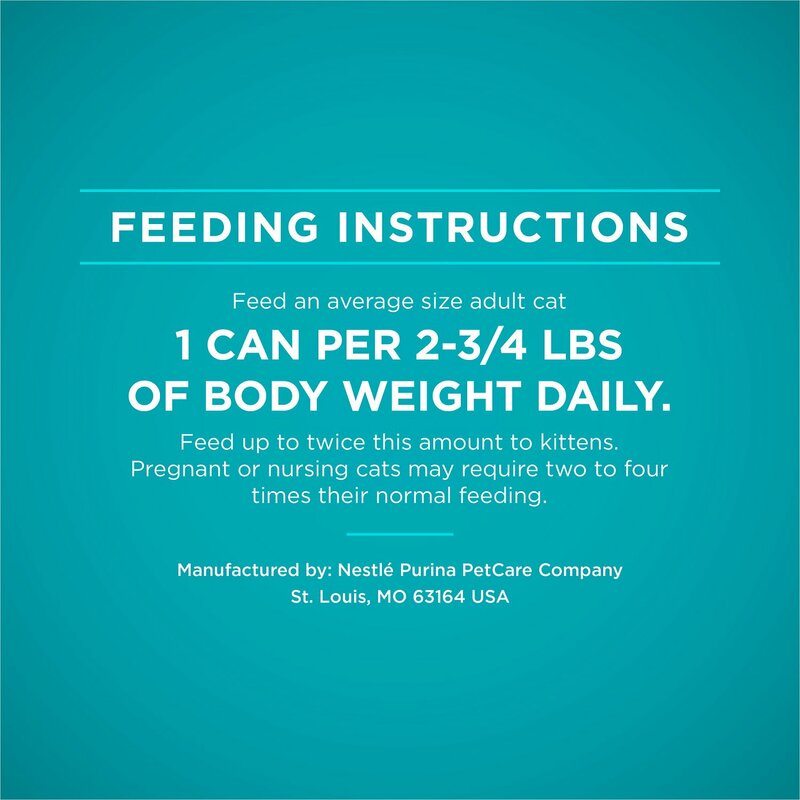 To grow up big and strong, kittens need the kind of nutrition you can find in Purina ONE's Healthy Kitten Formula. It's got DHA for vision and brain development and extra protein for strong muscles and a healthy heart. Once your cat gets to her senior years, Purina ONE Vibrant Maturity 7+ is the best choice. This recipe delivers optimal protein levels to help maintain lean body mass. 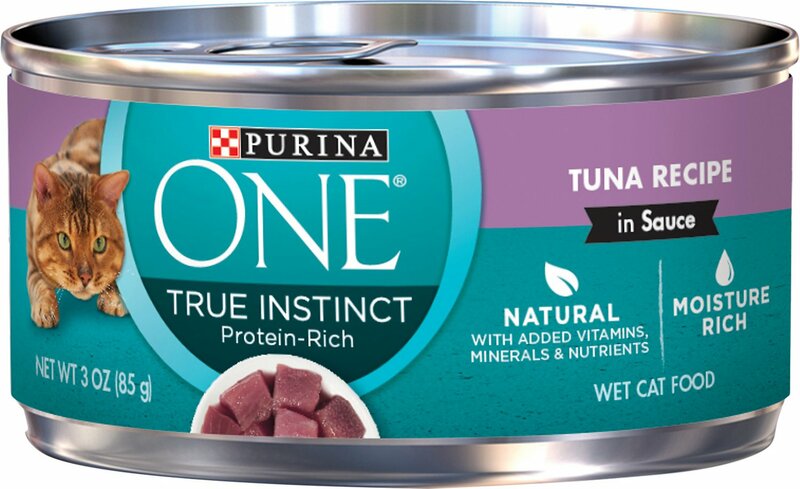 Purina ONE's canned food offerings are flavorful, moisture-rich and high in protein. Grain-Free Pátés: Real turkey, whitefish, beef or chicken is the number one ingredient in their grain-free pátés. These meals have a purposeful balance of protein, moisture, vitamins, minerals and nutrients for lifelong whole-body health. True Instinct: Chunks of meat are covered in gravy or sauce for a dinner that gives cats what they need and crave. Choose real tuna, chicken or turkey, or double your feline's dining pleasure with protein duos like chicken and salmon, salmon and trout, or chicken and turkey. Purina One prides itself on being the first brand in grocery and mass retail stores to offer pet food with real meat, poultry, or fish as the #1 ingredient, starting in 1987. Over the years, they've maintained their position as a leader in the industry that provides best-in-class nutrition for dogs and cats. Through constant innovation and research, Purina One has created Smartblend formulas with the right mix of quality ingredients for tailored nutrition at every stage. My cat still loves this and the chicken flavors. The new formula seems to have replaced some of the water with tuna broth. The consistency seems to have more liquid then the old formula but that seems ok with my cat. I guess I'm ok with it too since I give him cans to give him more fluids anyway. I do give it a stir before serving now. My two adult tabbies have been eating Purina one ideal weight and true instinct for over a year with no problems. Then I just got my most recent order and both cats will not eat it. Sitting here with five cases of food that they turn their noses up at. Going to be calling chewy or Purina or both to get compensated and return the product and find a new brand that they will eat. Has anyone with cat's nose this is a huge ordeal and a massive bummer. WHY?! I have 5 cats that ALL loved this canned food BEFORE you changed the contents!! Now???? NONE will finish it-two won’t even touch it and the others just pick at it. Seems to have more liquid? Even the meat is different...horrible change! My cats have always loved purina one canned food in gravy. They have changed the formula and my cats hate it. I am on repeat delivery I will have to stop it because it's a waste of money. Why did they have to change the recipe. Hate it!!!! My 18 yr old cat has IBS and this food seems to agree with her the most. Whatever changed my cat will not eat this now even if very hungry. She used to beg for more. 24 cans wasted. Afraid to order the salmon again if you changed that. Have found that Purina offers the best selection of food for multiple cats in the same household! My cat really loves this flavor of cat food and usually eats it up! The shipping of this product was excellent as well. This was our first order with Chewy.com and we were impressed! Will definitely order in the future; much easier than trying to find the only flavor our cats will eat in stores.